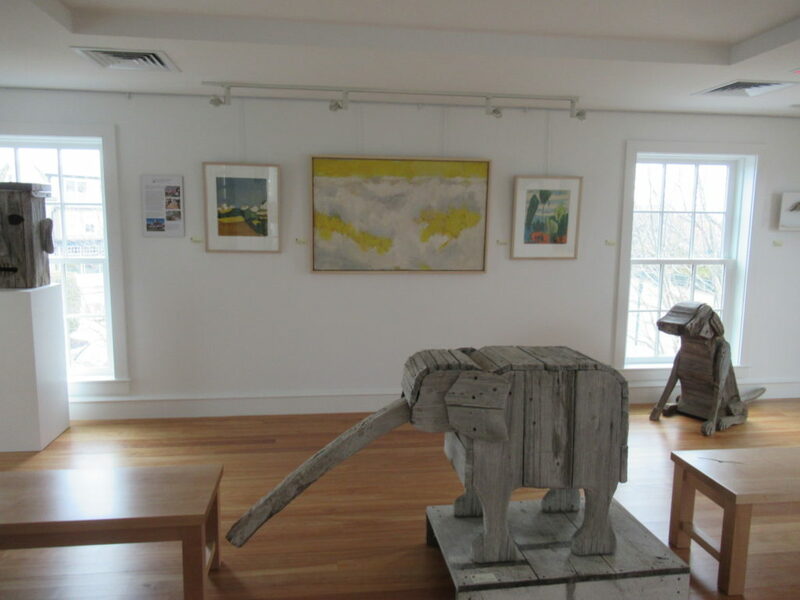 GRLT is currently exhibiting a sampling of Bernard Langlais’ artwork at the Friends of Maine Coastal Islands National Wildlife Refuge at 9 Water Street in Rockland’s south end, March 30-April 28, 2019, Monday – Friday 8 AM-4:30 PM. While known for his larger than life sculptures, Langlais as a trained artist, also has a large body of work that includes drawings, paintings in watercolor and oil. With grant funding from the Wyeth Foundation for American Art to the Georges River Land Trust, some of the pieces have been conserved and are available on short-term loans for public display as part the Land Trust’s Langlais Loan Program. Alexandrea Farquhar is also presenting her senior project from College of the Atlantic St., and St. George Middle School Students are presenting their nature-inspired art in all mediums.